A photo of the George Morton House submitted to the National Register of Historic Places in 1983. On Saturday, Dec. 22, 2018, the Nolensville Historical Society (NHS) held a special membership meeting regarding their role in the preservation of the historic Morton-Brittain house. The membership was presented with information regarding the recent series of events which have placed the historic home in jeopardy at its current location. With the home set to be demolished by a developer at the end of January 2019, members were updated with the current efforts to move the home and research regarding a permanent site or temporary short-term location within the Town of Nolensville. To secure a move-date for the home by the developer’s deadline, the members voted in favor of immediately funding the initial upfront portion of the fee to a structure moving company. Fundraising efforts are immediately underway. Tax deductible contributions will help raise the remaining balance due of the moving fee as well as the money needed for the home’s restoration. The Morton-Brittain house is one of the few remaining structures in Nolensville that is on the National Register of Historic Places. In accordance with the mission statement of the Nolensville Historical Society, NHS will be recruiting additional community team members for the Morton-Brittain Home Preservation Project. The NHS mission is to promote a knowledge and awareness of the historical heritage of Nolensville and the surrounding areas and to promote the preservation and restoration of historic sites in and around the Nolensville community. The Nolensville Historical Society has successfully saved and restored the old school and gymnasium. The historic Nolensville School was added to the National Register of Historic Places in 2012 and the official historical marker was erected on site in 2018. The property has become a significant event center, a community venue and houses the Nolensville Historical Society Museum which showcases a timeless classroom, a 1937 kitchen display, Nolensville memorabilia and a gift shop. When did the Nolensville Historical Society (NHS) become aware of the plans of the developer to demolish this house, which is on the National Register of Historic Places? In February 2018, when it was publicized for the February 22, 2018 Historic Zoning Commission for a Certificate of Appropriateness to demolish. What was the community response at the Town of Nolensville Historic Zoning Commission meeting? Vice Mayor Jason Patrick along with many other newer and established citizens spoke in opposition to demolishing one of three Nolensville structures on the register. A letter was read on behalf of the State Historical Commission requesting denial. The CEO of the Heritage Foundation of Williamson County (Bari Beasley) and former CEO of the Heritage Foundation (Mary Pearce) spoke in opposition of the demolition as well as the Preservation Director (Anabeth Hayes). NHS leadership also spoke in opposition to the home being demolished. The Historic Zoning Commission (HZC) voted unanimously to not permit the home to be demolished. Who sold the home to the developer? The home was sold to the developer by its prior residents when it was zoned ER (Estate Residential). How did the residential property become a commercial property? The developer, who is also developing the adjacent commercial Hillside Development, applied to rezone the property to CS (Commercial Services) by the Planning Commission in accordance with the Land Use Policy Plan. The Board of Mayor and Aldermen approved the commercial rezoning of the property. What happened after the HZC meeting of February 22, 2018? The Heritage Foundation hosted the developer, Mr. Mohson Malakouti and his son at their headquarters in Franklin on April 18, 2018. Some options and opportunities were presented to the developers, along with economic benefits and tourism dollars generated by preserved historic structures, particularly those on the National Register of Historic Places. A staff member took the lead on funding opportunities for preservation and restoration of the historic home to remain on site. Why were there no attempts to move the house prior to now? A historic house, listed on the National Register of Historic Places will lose its register if moved from its original location. NHS was advised by the State Historical Commission and the Heritage Foundation not to allow the house to be moved. NHS only learned of the developer’s legal assertion negating the HZC’s role and oversight on November 29, 2018. Now the only option to save the house is to move it. Was there a lapse in communication between parties? Perhaps. The preservation community understood it to be the developer’s responsibility to restore and preserve the house within his site plan for that parcel. The developer evidently had no interest in restoring the home, subdividing the lot for another purchaser to restore the home on site, or selling the lot whole for another purchaser to restore the home on site. The developer’s interest was in its development as a separate but adjacent lot to his Hillside Development as reflected in meeting minutes. The community’s understanding was that the home was ultimately protected by the authority of the citizen Historic Zoning Commission. What changed for the Town of Nolensville’s Historic Zoning Commission to no longer have the power to save the house? On November 16th, the community became aware of a request of a Franklin resident who wanted to move and restore the historic house as a private residence in unincorporated Williamson County through a request for a Certificate of Appropriateness to be heard before the Historic Zoning Commission. During the November 29, 2018 HZC meeting, the developer and his representative provided an attorney who challenged the authority of the Historic Zoning Commission of having a role in the future of the house outside of the zoned Historic District. It is understood, that town government believed until that time that its status on the National Register of Historic Places as a historically significant structure gave the HZC oversight. The Heritage Foundation and Nolensville Historical Society board requested a one-month deferral. The applicant appeared in favor of that as well. When did efforts begin to move the house in order to save it by the NHS? Work began on November 30, 2018 when the preservation community realized the historic home was in grave danger if it would have no protection under the authority of the Historic Zoning Commission. The house mover who had originally moved to save The Nolen House, committed to moving the house within the Town of Nolensville with 1/3 deposit for the move. On December 10th, developer stated the applicant was no longer going to move the house. The developer said he would give the community until the end of January to move the house before it is demolished after legal review. The Nolensville Historical Society board met on December 11th and voted to call a Special Membership meeting to present information and request the down payment to reserve the house mover for the last week of January. Due to Nolensville Historical Society by-laws, the earliest this meeting could occur was December 22, 2018. On December 15, 2019, after reviewing the Zoning Ordinance and state statues, the Town Attorney agreed with the developer’s attorney that the Town of Nolensville’s Historic Zoning Commission has no jurisdiction over the historic house because a separate overlay was not approved for it. NHS membership voted on December 22nd to provide the down payment and a GoFundMe account was begun on December 26, 2018. Where will the home be moved? Per direction of the Heritage Foundation, locations have been pursued within and near the Nolensville Historic District. Until the final location is confirmed, potential sites may not be discussed publicly. The first goal is to move the home one time, to the best long-term location for its preservation and restoration. The second goal, would be to move the home to a short to mid term location where it may be better stabilized and prepared for its final location. There are several property owners who have come forward with property for short term storage, and the potential long-term location(s) are being solidified. With the public participation of donated funds, the NHS will ensure that restoration plans will place it within view and provide accessibility to the public. 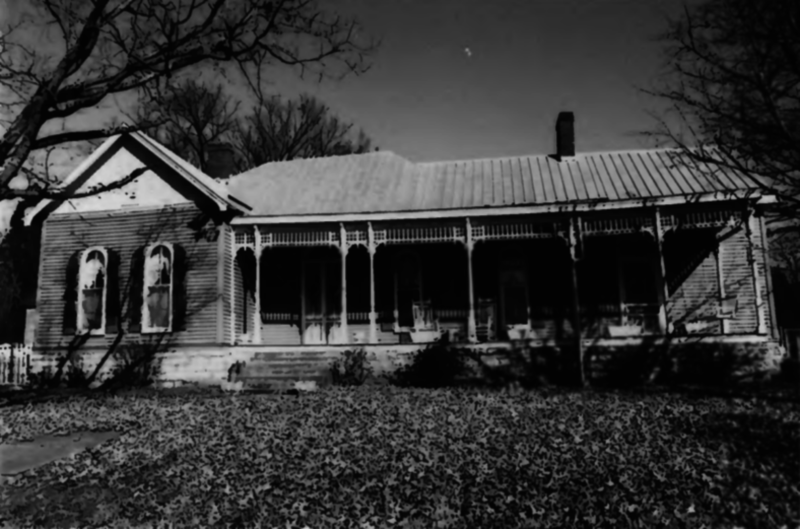 The aim is to keep the Morton-Brittain House within the Town of Nolensville as part of the town’s cultural and architectural history. Has the home been checked by a structural engineer to ensure it may be moved? Yes. In addition to a structural engineer’s inspection of the home, the professional house mover has assessed the home and its structural integrity to be moved. Is the Franklin resident who originally offered to move the home still interested? According to the developer, no. NHS has emailed and phoned to confirm this, with no reply. It was hoped that this property owner could be a back up possibility. NHS applauds any person who desires to be part of saving a historic house, and desires to maintain contact should another historic home become available to be lovingly restored as a private residence. Why doesn’t NHS hire an attorney? There does not seem to be any legal grounds to hire an attorney. The State of Tennessee is a strong protector of private property rights. The public acted in good faith, expressing their community will on February 22, 2018 and onward. The only legal opportunity may have been on the part of the Town of Nolensville. We appreciate the developer providing an opportunity to move the house and hope to achieve this as amicably as possible by working together. Can the Town of Nolensville deny the developer future requests? No. Each request is based on its own merit, compliance with Nolensville ordinances and adopted plans. No government entity may be arbitrary or capricious. Were opportunities missed by the Town of Nolensville to require the developer to preserve and restore the house during the rezoning process? We don’t know. We know the citizen committees, staff, and mayor work continuously for the public good and the community’s best interest. We are where we are and we seek to work with all concerned in constructive and positive ways. Town of Nolensville staff have been working hard to assist preservationists to progress within the town’s processes for the Morton-Brittain home’s best final resting place. While NHS has had to work within a challenging holiday schedule, Town Hall staff has had to as well. What have we learned and what about the future of historic properties in Nolensville? The community as a whole has learned what needs to change going forward with the identification of historic properties outside the official Historic District. They need to be provided a specific overlay to better protect them under the Historic Zoning Commission. Town Planner Sarah Sitterle brought Jane Coleman-Cattone to the last Historic Zoning Commission meeting to present information on how the town can become a Certified Local Government (CLG) in regard to historic zoning, in assisting with design guidelines, technical assistance and opportunities for historic preservation fund grants. Is the developer contributing toward the move of the house what it would cost to demolish it? The developer has committed to donating $5,000 toward the moving of the house. What happens to the donated funds if not enough money is raised to move the home? The one-third down payment donated by the Nolensville Historical Society to the professional house mover is not refundable. However, upon request, all donations made directly to the Nolensville Historical Society will be fully refunded and all GoFundMe donations will be refunded minus the GoFundMe processing fees. Those that wish to leave their donation with the NHS as a 2018 or 2019 tax deductible contribution may do so. Why is NHS optimistic about moving and saving the house? The Nolensville Historical Society has already saved and restored the Historic School. The NHS has a commitment from the Heritage Foundation that they will partner on this project and it has incredible resources for the restoration project. Besides donations and fund-raising efforts, the NHS rents the Historic School, Gym and cafeteria as an event center that produces revenue. Alfred and Evelyn Bennett successfully moved and restored the Nolen House within the Historic District. The NHS knows the HISTORY of Nolensville. The settlers who created roads, schools and parks precede all of us. The community members who created a fire department, water services and lit up parks made a way for us. A town government 22 years old has realigned Rocky Fork Road, brought sewer to our historic village without owning the infrastructure, and provided architectural design standards and trails that make us connected and proud. Nolensville can do this when it comes together, to preserve our past into the future.